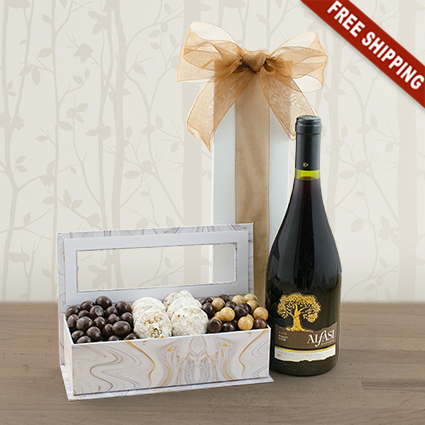 Create some joy anytime with Alfasi Reserva Pinot Noir and an elegant three-section marble box filled with classic snacks! Alfasi Reserva Pinot Noir, from the vineyards of Chile, is a well-structured red wine with hints of strawberry, plum, black cherry and mint. Pairs well with veal, chicken and fish dishes.